The focal point of the wedding event was the long walkway that started from the entrance to the central podium, giving guests a clear view of the newlyweds as they walk amongst family and friends. Food and beverage by Raffles Hotel. Situated in the heart of Singapore, is a serene garden inside the Raffles Hotel. Aptly named The Lawn, it is the perfect setting for couples who want a romantic garden wedding in the city. Planning and floral design by Wedding Acts. Want a wedding like this? Ring Shirley at +65(6482-8266) for a no-obligation consultation. Hello. I would like to know how much this would cost altogether and the timings u have for this lawn. I am considering having my solemnization here but I’m really on a very tight budget. Thanks. 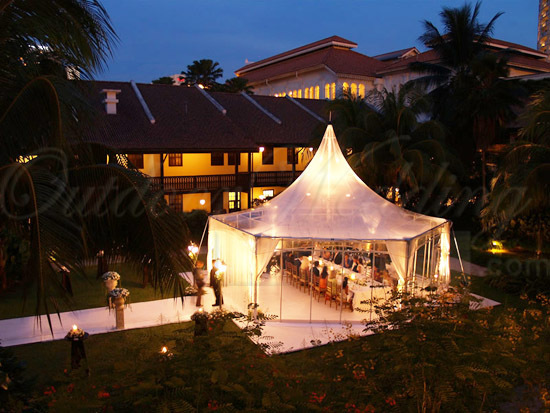 Hi, what is the package price for this solmerisation set up in raffles hotel lawn? Hi! Interested to know the cost (for about 30 pax). Thanks! I would like to have a quotation on the price or package plan, including the buffet and dinner (7-course preferably), and the min or max no. of tables in the location. ROM reception for 20 guests. We would like to find out more on the details if you provide such event. I just came across this site while doing some research on Raffles as a possible venue for my wedding. I am planning my wedding from overseas so I am finding it a little bit difficult. Can you give me a price for something like that set up? And also is this done with the hotel or separte? May I know if this can be replicated for solemnization only? target about 50-80 pax. And how is the package plan like? Hi, I’ll like to enquire the max. capacity for a wedding dinner at the lawn and the rates. Also, if halal buffet catering is possible. ROM reception for 100 guests. We would like to find out more on the details if you provide such event. Im interested in holding solemnisation followed by lunch/dinner for a crowd of 50-80 pax. What is the package and rates be like? I would like to know how much this would cost (or any packages available) and the timings u have for this lawn. I am considering a solemnization ceremony followed by lunch/Dinner for a crowd of 80-100 pax. I am interested to hold a outdoor ROM ceremony.Either Lunch or Dinner. Please email me the packages available for The Lawn at Raffles Hotel. The set up is beautiful! Could you provide details on the cost per pax for similar set up? Also, it would be great if you do have details on the pricing (based on difference menu selection, if any) and capacity for dinner? Hi, for 50-80 pax, solemnisation + actual wedding day dinner, air-conditioned. How much would a package like this roughly cost? Do you have more pictures to show of weddings held at The Lawn? Can you email me the price for such wedding lunch for pax of about 30? And also the setup cost for something similar? I am considering Raffles Hotel as a possible wedding venue. Can you email me the quotations for a set up like this? What is the cost per pax? I am looking at 150 people then they proceed to lunch after at Raffles Hotel. By the way, is this in conjuction with the hotel? We are planning to have our ROM reception something like this for around 40 guests, and would like to find out more. Can you please email me roughly how much will the cost be? Hi, I am keen to find out about the price for the package for solemnization (at The Lawn) and Wedding dinner (possibly at one of the rooms at Raffles Hotel) for approx. 150 people. Is that possible? quite lost with many different combinations available in the market now, but I like what I saw from this website. Look forward to your response on the pricing. Thank you~! Love the set up of this place. i would like to hold my solemnization for Hi-Tea here. can u kindly quote me for a min of 50-100pax with a floral theme??? i would like to know how much is the cost for such setup including buffet lunch good for 50 guests. ROM date is June 11, 2011. I am interested in holding a wedding dinner at the lawn (solemnization followed by dinner). May I enquire the costs for a similar setup like the above (ie the package) and the maximum capacity for the lawn? Do you have the dinner menu as well? please kindly advise!! many thanks! 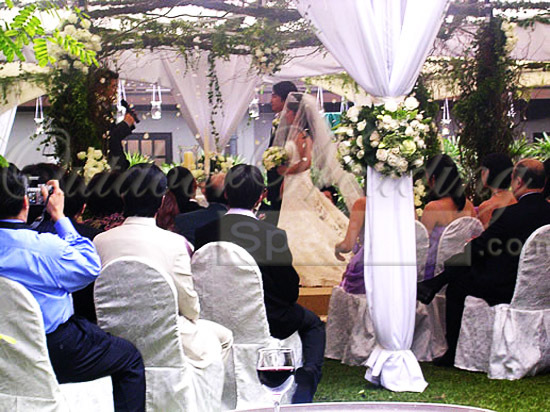 Hi, for 80 to 100 pax, solemnisation + actual wedding day lunch/hi tea, air-conditioned. How much would a package like this roughly cost? Do you have more pictures to show of weddings held at The Lawn? Hi May I know how much does this costs? We are planning our solemnization at 28 Oct 2011. Could you email us the details?? Weare looking at 15 tables at the Lawn with a nice marquee set up and obviously fresh floral decorations. Tentatively in mid Feb.
Can you provide us with some proposals and of course the cost too? Hi could you please let us have an idea of cost for about 30pax solemnisation for the lawn @ raffles hotel? I would like to enquire on the cost to hold my ROM in this lawn. Can you provide me with more information on this for about 20-30 people? Hi do you have a solemnization package? I am planning to have my solemnization at Lawn@Raffles Hotel on 5th June. Tight timeline. For about 40pax. Thanks. We would like to hold our ROM solemnization this Nov/Dec at the lawn for about 80 pax. Would appreciate if you can furnish me with more information about the various packages. May I have the details of this package? Thanks so much!! 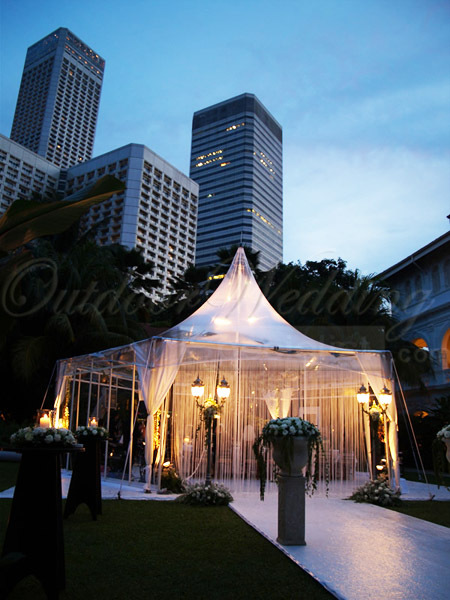 I would like to have a quotation of the solemnization package at The Lawn @ Raffles hotel for approx. 60 guests. High tea or lunch is preferred. Thanks! Hi. I’m interested in having this set-up but at a different location. Would u like to send me email for more details of the package? Approx 60pax. Thanks a lot! Could i get a quote for a small wedding dinner on the lawn for about 200? thanks! Hi there, I would like to enquire seating capacity and menus for a lunch or dinner at the Lawn and prices for renting the space as well as doing up the tentage, carpet and basic decor. Thanks! Loved the set-up! May I know the quotations for a solemnisation at the lawn followed by dinner? I’m open to various packages so do kindly advise. Thank you so much! I love the setting. Like a quote for about 30 guests. Lunch reception Thank you. you have got a mail! Hi, please kindly advise the package price for this solemnisation set up in raffles hotel lawn. Thanks! i like to have a garden wedding. is the setting @ the Lawn like a garden? I like to have soleminization in the garden, followed by wedding lunch or dinner in the ballroom. Is this possible? May I have a quotation on this? 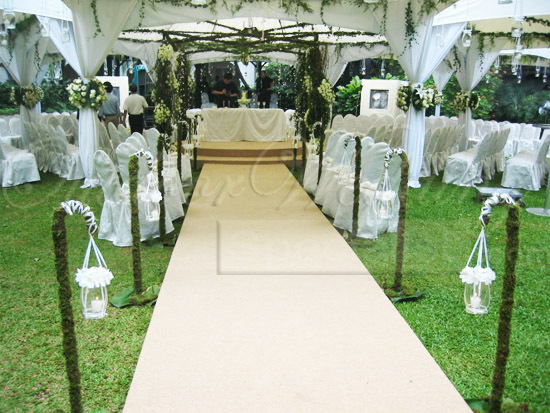 loved the flower decorations, walkup and tent! Please email me your quotation please for venue rental, setup, and F&B please. Hi! Would like to enquire the rates to set up the same at a different location for our solemnization. Am looking at about 25 pax for the event, followed by a buffet dinner. P/S our wedding is in Mid July. Hence, would appreciate if you can reply soon. thanks! Hi, can you advise me on the packages for Solemnization (at The Lawn) and Wedding reception for approx. 50-80 people. Tentatively on 21st Jan 2012. Hi! I m interested to know the package as well as the min. and max. number of people. I am interested to hold a outdoor ROM ceremony + Lunch/Dinner buffet @ one of the restaurant or ballroom for my guests. Hello. I would like to know how much this would cost altogether and the timings u have for this lawn. I am considering having my solemnization here but I’m really on a very tight budget. 40-45pax ard sunset timing in dec 2011.or can u advise other venue? With buffet/course meal? Hear from you soon! loved the deco and setup! Please email me your quotation please for venue rental, setup, and F&B please. 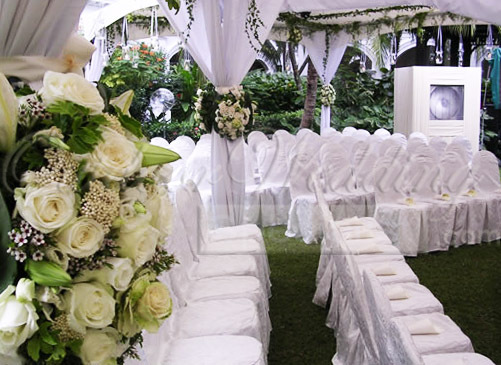 I am interested in holding a wedding lunch or dinner at the lawn (solemnization followed by lunch or dinner). May I enquire the costs for a similar setup like the above (ie the package) and the maximum capacity for the lawn? Do you have the lunch or dinner menu as well? Could you please email me the quotation for similar setup, evening time, around 20-30 pax? Maybe buffet dinner. For 2012 ROM. Thanks! Wow, I love this setting a lot!! Especially the decorations and tent! Are you able to email me your quotation for venue rental, setup, and F&B for about 50 pax? Hi I’m interested In Golding my solemnization and reception at the lawn, around 180 people. May I know what’s the package like? Thank you! Kindly email me the quotation for similar setup, evening time, about 30 pax? ROM 2013. Am doing to do a wedding dinner like this for 100-150 pax, could you advise if tht is possible? I am interested in holding a wedding dinner at the lawn (solemnization followed by dinner). May I enquire the costs for a similar setup like the above (ie the package) and the maximum capacity for the lawn? Do you have the chinese dinner menu as well? Looking at dates before end of the year. 50-100pax. I am interested in holding an outdoor wedding dinner at the lawn. The solemnization followed by chinese dinner. May I enquire the costs for a similar setup like the above. Could you send me the chinese dinner menu as well? Looking at dates before end of the year. For 50-100pax. Mainly relatives and close friends. I am torn between a wedding banquet for 80 at Fullerton or Raffles, lunch or dinner. What is the food in Raffles Hotel like? Heard negative feedback about both. I am interested in holding a dinner / Lunch wedding at the Lawn. I am inviting 40-50pax with similar setup. Can you kindly send me a quotation on the lunch & dinner, so that I am able to compare(on tight budget). I am looking to hold our ROM at the Lawn and followed by a dinner for abt 50 to 70pax, probably in the Casuarina Suite A.
Kindly send me a quotation for this options. Thank you very much! hi i am keen in doing ROM at the Lawn at Raffles followed by the lunch or high tea in one of the rooms. Can u tell me your package details for 80-90 people and decor details as well… thanks! Would like to do solemnization follow by wedding dinner at The Lawn for 150 people. Could you let me know if that is possible and maybe email me some details? Hi! Interested to know the cost (for about 70 pax). Thanks! Hi, could I get a quote for a similar setup for a solemnisation ceremony at the Lawn? Thanks! Hi, I’m interested to hold my holy matrimony at the Lawn, with approx 50pax, simple cocktail and follow by dinner at Raffles ballroom. May I know the package and the decor details with cost list? Thanks! im keen on holding my ROM at the lawn, Raffles Hotel. Kindly email me the quotation for 60-80 pax. Details include dinner (western), deco and package pls. I’ve contacted you via email. Hi, I’m interested to hold my Solemnization ceremony at the Lawn, with approx 40pax. May I know the package and the decor details with cost list? Thanks! Hi, i am interested for the above setting wif abt 60 pax. ROM on jan’13! Can u email me the price list thks! 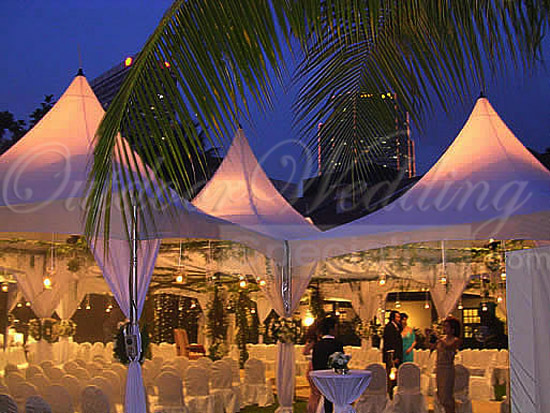 Hi there, the setup @ Raffles Lawn looks really nice…can you provide information on costing and packages for about 100pax. Its for solemnisation followed by dinner. Kindly send me the quotation for a solomization in the afternoon. I am interested in holding a dinner / Lunch /Hi Tea reception wedding at the Lawn. I am inviting 100 – 120 pax. Can you kindly send me a quotation on the hi-tea, lunch, dinner, so that I am able to compare(on tight budget). I would like to hold my solemnisation ceremony at the Lawn followed by the simple meal (lunch) in one of the rooms for about 20 guests (can be a ala-carte lunch buffet or table). Are you able to email me your quotation for venue rental, setup decor, and F&B for about 20 pax? I’m interested to hold my ROM at the lawn, Raffles Hotel. Please email me the quotation for about 20 pax and what does the package includes ? im interested in having a high tea solemnization ceremony at The Lawn. May i know your rates for a small gathering of 30 pax. Please include the details for the package. 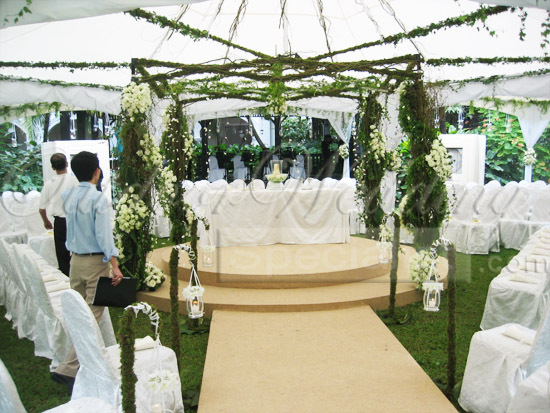 im interested in holding my ROM at the lawn with similar decoration setup as in photos above..with approx 50-80 pax. please provide quotation of lawn ROM package, with lunch and dinner. I would like to enquire the price of a wedding solemnisation followed by dinner for 120-150 people at the Lawn. Kindly email me the details and cost of the package. Thank you! m interested to know the package for a 50pax wedding lunch buffet at the lawn. Hi, would you be able to share with me the cost of the tentage, decoration and buffet menu for 30 guests for a lunch/high tea? im keen in having my ROM at The Lawn, Raffles Hotel. Could you email me the quotation for 60-80 pax. Details include dinner (western), deco and package pls. Hi, what would be the prices like with the wedding act’s service (decor etc) for a wedding solemnization on the lawn at the raffles hotel and then a banquet in the ballroom after that? I’m not sure if the prices would still be the same now, but a gauge would be great (: thanks! We would like to invite 150 people. Can we have our own catering here? Hi, please kindly advise the package price for this solemnisation set up in raffles hotel lawn. How much does it cost if it takes ups more than 20 guest? Hi, can I get the quotation for solemnization at the lawn? Includes lunch/ dinner for around 60-80 pax. Thanks!